Come for this Easter’s Traditional Worship to experience special music (Handel’s Hallelujah Chorus) and a special message brought by Pastor Kenny. Come for this Easter’s Contemporary Worship to experience great rock-style music and a special message brought by Pastor Dan. Our contemporary worship service is called “Common Ground” and is offered at 9:30 every Sunday, including Easter! If instead you enter the sliding glass doors entrance, make a left into the hallway to the end where you will notice the welcome area on your left. All three services, 8:15, 9:30 & 11:00 am, will be held in the Sanctuary. Invite your friends and family and enjoy a Lenten Cantata, “Come Touch The Robe,” presented by our Sanctuary Choir. Join us as we gather in our Fellowship Hall for a light meal, like Jesus and the Disciples experienced, and share Holy Communion around the tables. Join us in the Sanctuary for a worship service centered around the seven last words of Christ. During Lent we gave up BAD things. Easter brings us to embrace the hope, forgiveness and possibilities God has for us because of a Risen Jesus! Let’s wrap our arms around the living Christ and all He brings. Contemporary worship is led by our praise band in a rock-and-roll style with many contemporary Christian songs that you might hear on the radio. Rev Dan Elmores delivers the message, often enhanced with video or drama. Our contemporary worship services are more casual in nature, so wear your jeans or shorts if you want to, RevKev does! EASTER LILIES AND THE RESURRECTION. Does your church fill up its chancel area with Lilies on Easter? And what do lilies and Easter have in common? Chuck’s Easter message with a smile. 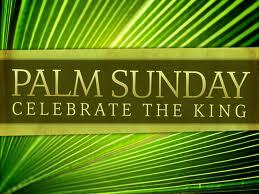 The “palm” in Palm Sunday refers to the palm branches waved by the adoring Jerusalem crowds who welcomed Jesus and proclaimed him King. The event is commonly referred to as the Triumphal Entry. Please join us at our 8:15, 9:30 & 11am worship services. Listen to 272 past sermons by Pastors Kenny Newsome, Dan Elmore and others in the Pender Podcast. March 20: New Directions Sunday School Class. New study entitled “Soul Keeping – Caring for the Most Import Part of You” by John Ortberg. We meet in Rooms 218-220 at 9:30 AM. If any questions, feel free to contact Carol Wilson If any questions, feel free to contact Carol Wilson by email or at (703) 815-1744. March 20: The 10:30am Sunday School Class is reading a new study by Adam Hamilton entitled Seeing Gray in A World of Black and White: Thoughts on Religion, Morality, and Politics. Contact Angie Green for more information. March 20: The Pender Youth Orchestra, 4:15-5:00 pm. The Youth Orchestra is open to all youth grades 7 through 12 who play a wind, brass, stringed or percussion instrument. New members are always welcome! The Orchestra plays 4-5 times during Sunday morning worship from December-June. More information.